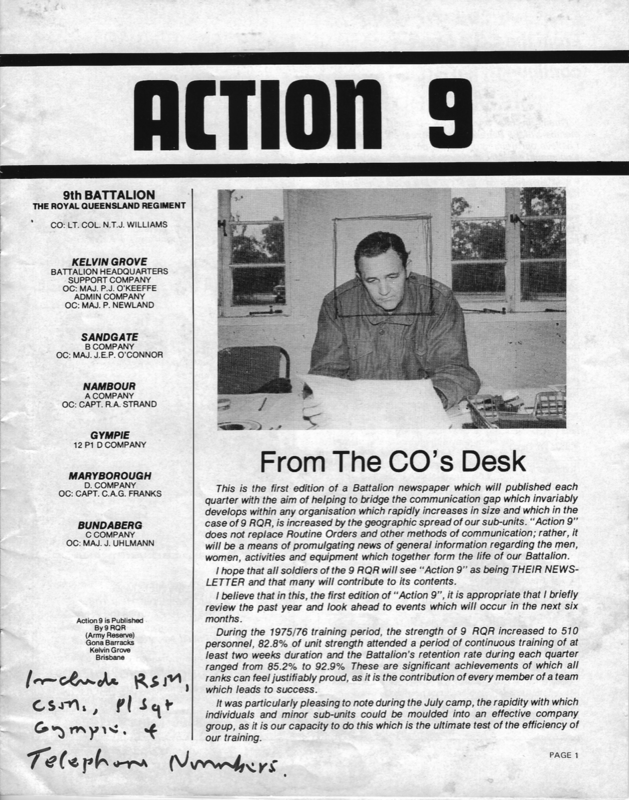 Back in 1976 LtCol Williams, then CO 9RQR, tasked two Officers to produce a quarterly magazine to record the exploits of the Battalion. This is his first 'CO's Desk' message with his comments showing on the pages. 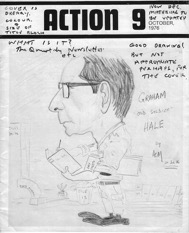 In the event this was a 'draft' issue with Noel making many comments on the design and layout - it was back to the drawing board for Maj's Newland and O'Keeffe. 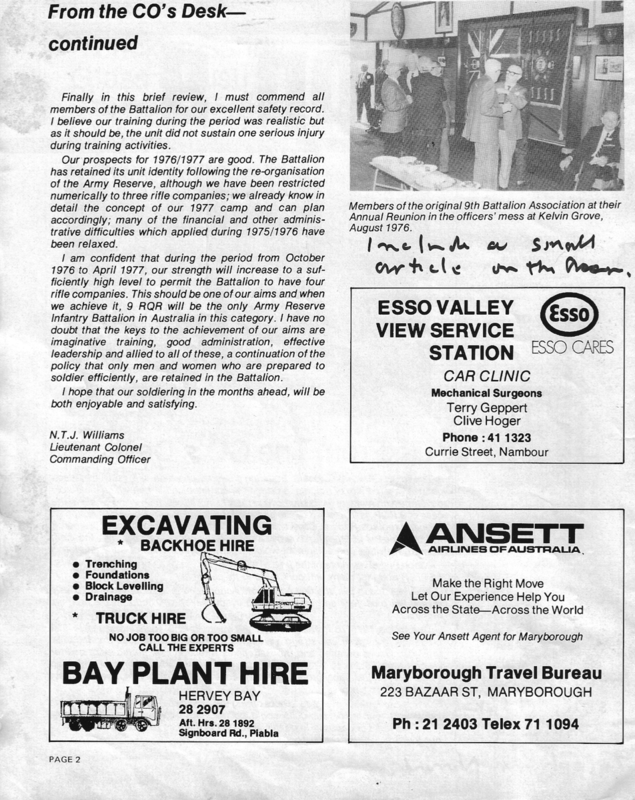 Our first attempt at both a cover and a magazine layout was not met with apptobation but our second attempt was published in December 1976. 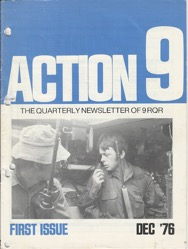 The publication has survived to the present day now being titled 'The Fighting Ninth' as a tribute to the 9th AIF.